I always have too many projects on the go, it's not that I don't finish anything - I do but I get sometimes easily excited by the thought of a new idea and have to try it out right away otherwise I forget. 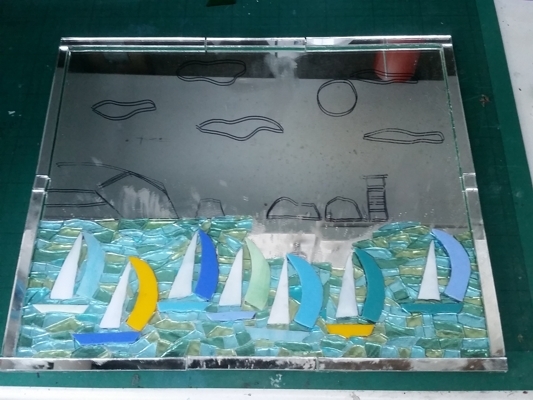 Consquently I have 4 glass mosaic projects on the go at the moment. 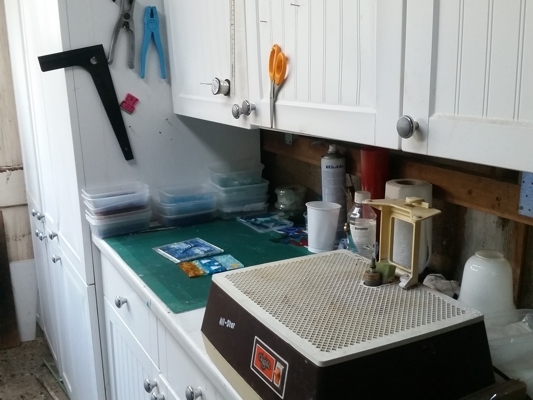 This is my workstation for my mosaic projects and where I do my stained glass. The downside is that it is in our garage which it starts to get very cold from now on so I move some of it inside to our utility room where it is warmer. Completing this piece is one of the things on my todo list. 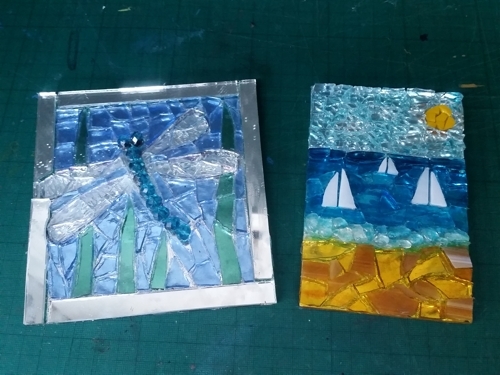 These next 2 are finished apart from the grouting. and finally this one was inspired when I was looking at stained glass patterns on Pinterest. 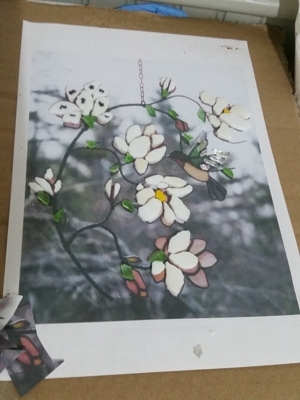 I printed out the design and am using it as a template for my mosiac. I'm just doing a little bit at a time as I have neck problems and if I do too much it causes me pain :-(. 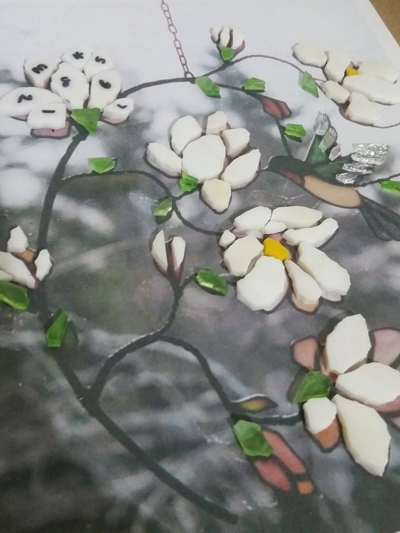 I have quite a few glass mosaics made. If you are interested in purchasing please send me a message.